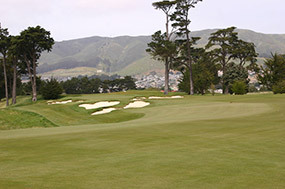 One of the state's most prestigious golfing institutions, the California Golf Club of San Francisco was originally designed by A.V. Macan in 1925, and rebunkered a couple of years later by the great Dr Alister MacKenzie. 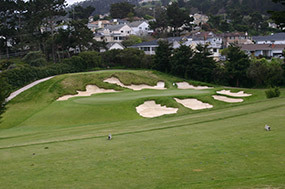 MacKenzie's original bunker shapes here were every bit as rugged and impressive as those at Pasatiempo and Cypress Point, but over time the hazards had lost their dramatic appearance and in the 1960s the layout was further compromised when the club lost part of its land for a road expansion. 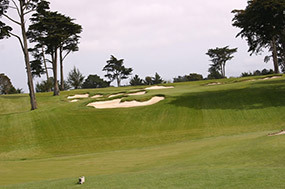 Technology also hurt the Cal Club, as the dimensions of their internal driving range became less adequate the longer the ball flew, and trees and containment mounding was thought necessary to protect golfers on the course. The problems of deterioration were to be addressed in the early 2000s by a redesign program that caught the attention of prominent architects throughout the United States. Kyle Phillips was awarded the job, largely on the back of a radical plan to re-route the front nine, build three new holes and shift the driving range away from the clubhouse. 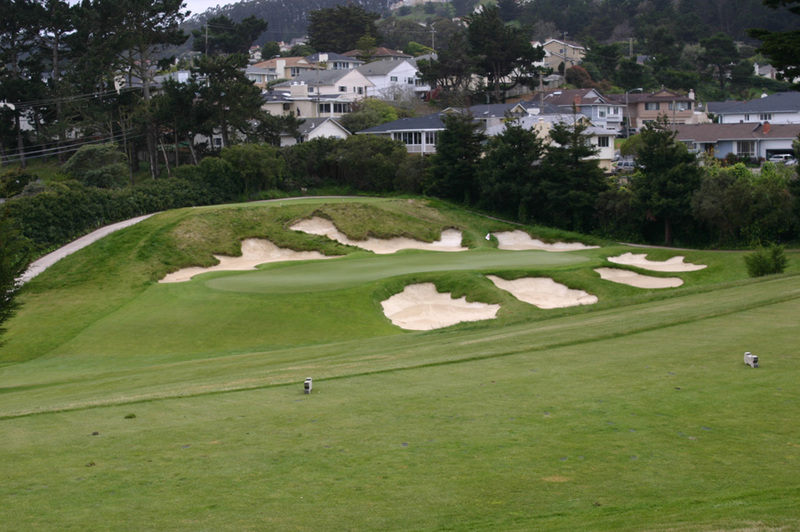 The MacKenzie look and influence had been eroded over time and Phillips, while also creating new holes, was determined to make the Cal Club again look and feel like a MacKenzie course. His plan allowed the holes the space and sense of grandeur they deserve, and by giving breathing space to golf corridors and removing unnecessary trees the emphasis is again back on just how suitable this site is for great golf. Unlike the nearby Olympic Club, which is essentially built on the side of a hill, Cal Club occupies erratically tumbling ground, the heavy slopes full of great natural movement and ideal for interesting golf. The rugged, naturalistic bunker shapes and restored green complexes work perfectly on this site, and give the impression that MacKenzie's work here was never touched. That's the biggest compliment anyone can pay Kyle Phillips regarding his work at Cal Club, that it all looks preserved from the MacKenzie plan of the 1920s. 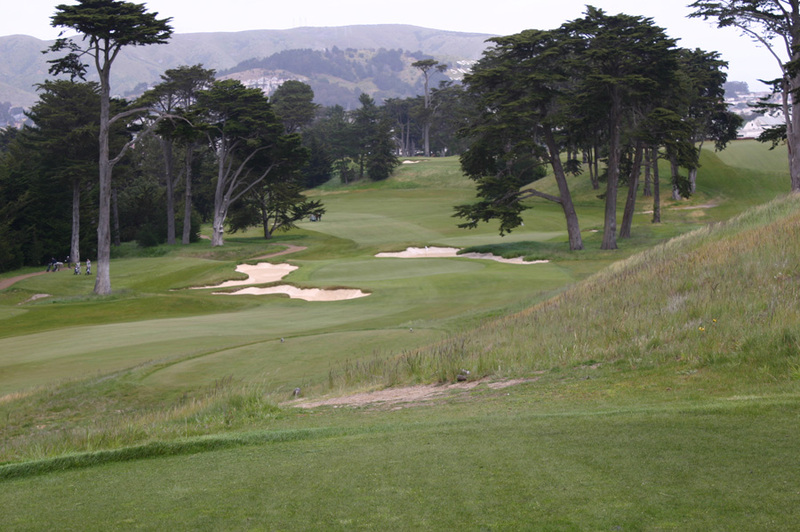 The California Club of San Francisco is a great place for golf, and after years of darkness the club once again owns a genuine American classic. The golf holes are inviting, varied and original, the green surfaces beautifully pitched to accept well struck balls and the bunkers are strategically arranged and attractively constructed. Appointing Phillips to oversee this important program was a bold one, but the designer did a wonderful job here and the course is now once again heads and shoulders above better known San Francisco layouts like Harding Park and Olympic Lake.